London Eye in London - The big Weel at Themes. Address: Thames on the south - between Hungerford and Westminster Bridges. The observation wheel was built to celebrate the millennium (2000). 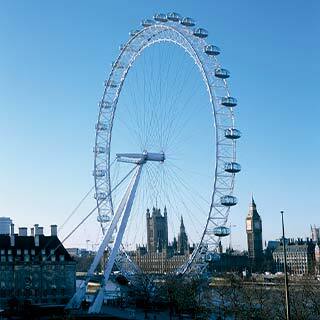 London Eye is situated strategically in the center on the south side of the Thames. Here you also find several museums, galleries and restaurants on the waterfront. The wheel have 32 capsules and it takes about 30 minutes to take one trip around. When you reach the top, you find yourself about 135 meters above the ground and here you can take great pictures of the city. When it is nice weather you can see as far as 40 kilometers in all directions. Before boarding you will pass a lot of guards and checks before entering the "cage". 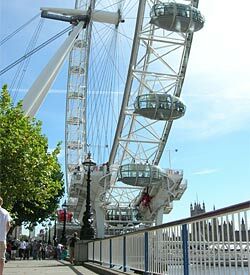 Tickets to the London Eye - skip the line! 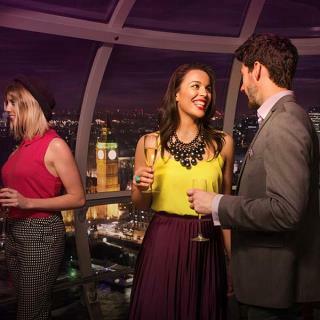 Take the opportunity to book your ticket to the London Eye before you arrived in London. This helps avoid long ticket queues. If you like to get on the London Eye even faster buy a Fast Track-ticket. During about 30 minutes you will experience London from above. You can see amazing far and you can see among other things, Westminster Abbey, Big Ben, St. Paul's Cathedral, Buckingham Palace etc. Children under 3 years go for free. SAVE UP TO 15% when you buy your tickets online. The London Sunday Times organized in 1993 a competition about how London could celebrate the millennium. It would be a monument of some kind .... The married couple David Marks and Julia Barfield's idea of a "forever rolling wheel" on the Thames won the contest. To fund the project the couple co-operated with British Airways. At first it was thought that the wheel would only stand for five years but in 2002 it was decided that the wheel should stand forever. 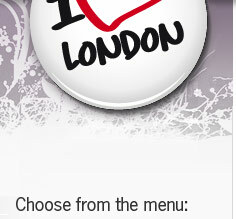 Tips: Book your tickets online if you are in London at peak season and you do not have time to wait in line. We can say that the lines were veeery long in July. 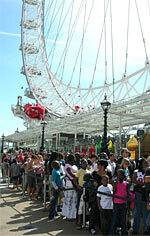 More tickets to the London Eye - do not que for tickets! 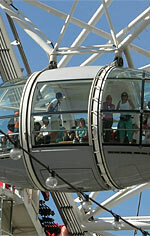 Get on the London Eye together with a guide and learn all. Book a private capsule with your friends or company. 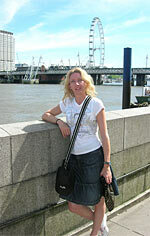 Down by the Thames you´ll find London Eye. Go for a ride and get a fantastic view of London. Klick on the play button under the movie or in the screen window to start the movie. What do you see when you come up? You will see many of the major tourist attractions from above, closest you will see the House of Parliament, Big Ben and Trafalgar Square. 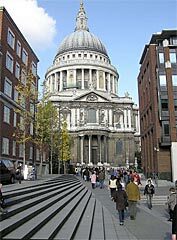 A little further on you will see the top of the Dome of St. Paul's Cathedral and other steeples on several churches. 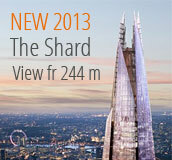 You also see Tower 42, BT Tower, Windsor Castle and the Cristal Palace. 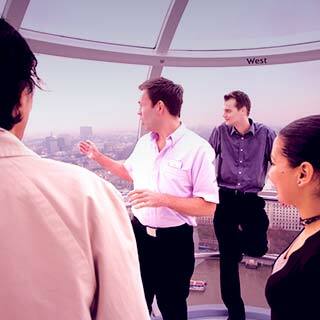 Save on admission fees when you add more attractions to your London Eye ticket. 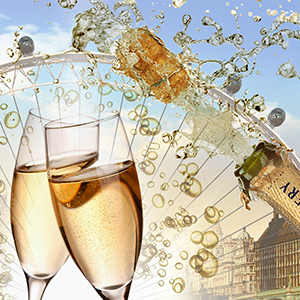 You can add attractions like Madame Tussauds, the London Dungeon, Sea Life London Aquarium, Shrek Adventure or a River Cruise. When you buy your combined ticket online you save up to 50% on the ticket price. The more attractions you add, the more you save on the price.